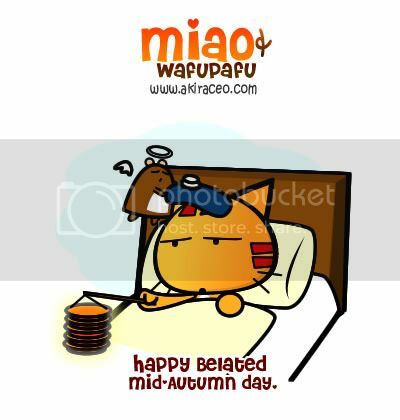 Miao & WafuPafu Comic Blog » Happy Belated Mid Autumn Day. Sick since Friday and still is. Posted on October 4, 2009 by Jian Akiraceo. 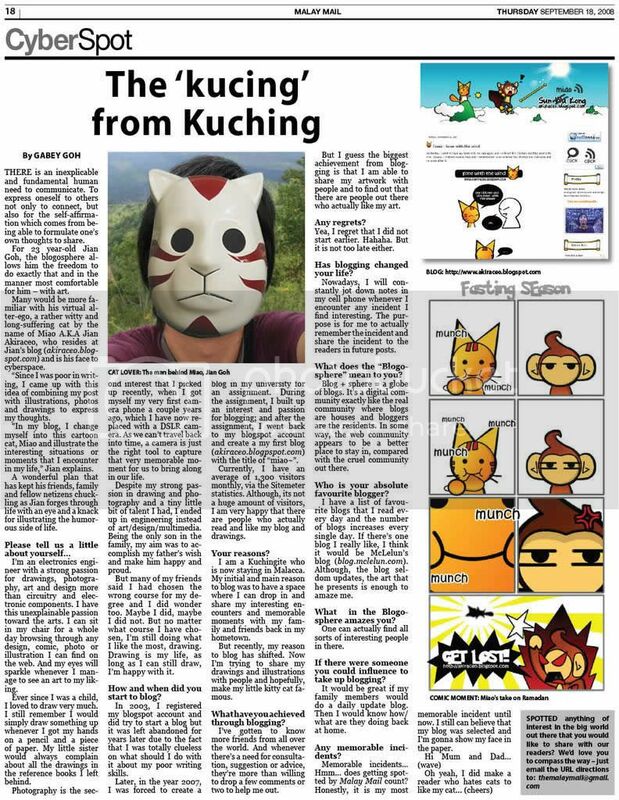 This entry was posted in Festive Season and tagged belated mooncake festival, sick. Bookmark the permalink. no wonder why u said u have used up 8 of 9 cat’s lives…. miao demam rindu wafu n pafu. so kesian have to play tanglung on bed. Get well soon..
Eee I want I want! Alamak, kesian. Get well soon. Happy Mid-Autumn Festival to you too (: ! Take care & rest more heh. Didn’t manage to eat much this year..